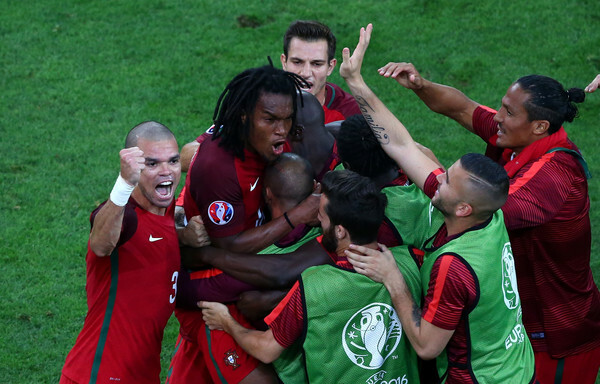 Portugal go through to the semifinals of Euro 2016, beating Poland in a penalty shootout after a 1-1 draw through the first 120 minutes, with Robert Lewandowski and Renato Sanches scoring goals in the first half. In the penalty shootout, after Portugal scored their first four kicks and Poland their first three, Jakub Błaszczykowski stepped up to take the fourth kick. He didn’t take a very long run up, and his shot was parried by Rui Patricio, finally guessing the right corner. 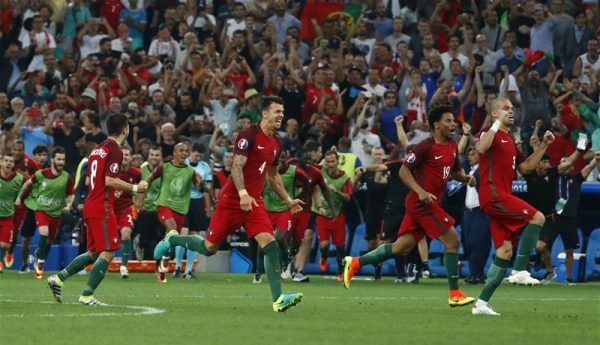 Ricardo Quaresma, who scored the extra time winner for Portugal in the round of 16 against Croatia, was once again given the opportunity to finish the match with the fifth kick. He didn’t do anything tricky, simply sending a powerful shot to the middle and high, with Fabianski unable to reach the ball. Portugal are through, still without a single victory in the first 90 minutes in this tournament, playing in five matches. Lewandowski scored his first goal of the tournament within the first 120 seconds of the match, as fine passing move allowed him to send the ball into the corner with a trademark powerful shot into the corner. His future Bayern Munich teammate, the teenager Sanches, showed his speed and power in the 33rd minute, making his way through three Polish defenders to score the equalizer, finally getting a deserved start from Fernando Santos. He also scored one of the penalty kicks in the shootout.